Well finally! Call the Midwife is up and running – time to stock up on the packages of Kleenex eh?! 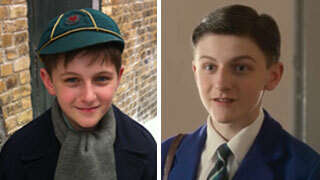 One of the many things I’ve enjoyed about the series is seeing the growth of young Timothy Turner, played by Max Macmillan. When the series began Max was just 11 years old and entering high school. Now he’s in the final stretch of school and thanks to careful planning on the part of school, his parents and the Call the Midwife producers, he’s been able to continue his studies as a regular school boy. 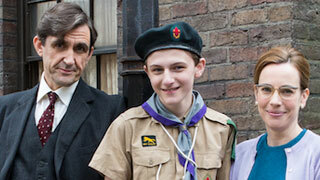 Max’s experience working on Call the Midwife has been what his mother, novelist Gill Macmillan, calls “amazing”. Before being cast Max had no drama experience whatsoever. His mom was simply looking for something for her kids to do during the summer when a friend passed along an audition opportunity at a local theatre that was looking for boys to be choristers in a play they were putting on. They also wanted young violinists, so as Max could play the violin he took his instrument along and ended up being offered a main role. What was meant to have been a short summer experience turned into “several months of rehearsal that culminated in a huge Christmas production with numerous performances in front of thousands”. One of the performances was attended by the director of the first series of Call the Midwife who noticed a resemblance between Max and Steven McGann who was playing Dr. Turner. The director asked Max’s mom if her son would be interested in auditioning for the role of Turner’s son Timothy, explaining that it wouldn’t be a big commitment, just a single day of work filming one scene in the Season Two Christmas Special. Max’s mom thought it would be a great experience for her son and agreed to let him audition. The rest, of course, is history and Max has now wrapped up his fifth year working on the series. You might have noticed that Max’s involvement in the show hasn’t been as much since he got older. That’s simply because he’s had to limit his availability so as it wouldn’t affect his schoolwork and his musical interests. Young Max hasn’t let on whether he intends making acting a full-time career after he leaves school. Should he do so, he’s certainly off to a great start. 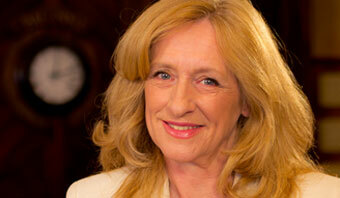 Call the Midwife airs at 8pm on Sunday evenings on MPT.